Built in 1907, step out of the ordinary and into this unique historic space. From Elegant Weddings to Corporate Gatherings, Social Events to Non-Profit Galas, Windsor’s premiere event centre will offer an escape to breathtaking Olde World beauty and charm. 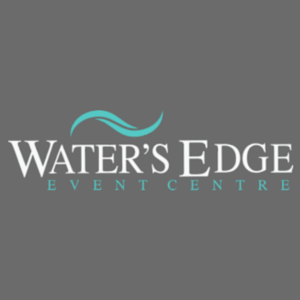 With a modern touch, our promising attention to detail and exceptional personal service, Water’s Edge will make memories last for a lifetime. We invite you, as we step into a new era of making history, to join us in the warm hospitality of The Water’s Edge. 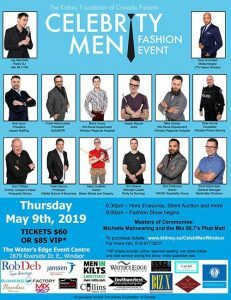 The 4th Annual Celebrity Men Fashion Show / Fashion Event in Windsor, supporting the Kidney Foundation of Canada, takes place at The Water's Edge Event Centre on Thursday, May 9th, 2019.